The President is the chief elected officer of the organization and presides at all regular and special meetings of the Association. They appoint members of all standings committees and any other committee as the need arises. They perform such duties as the Association may require, in the conduct of its business, and preside at all Board of Directors and Executive Committee meetings. Responsibilities also include: ensure that the organization abides by its bylaws and established policies; preside over all meetings of the board of directors, the executive committee, and the annual business meeting of the organization; support the executive director; prepare agendas for all meetings of the board of directors in collaboration with the executive director; annual report to the membership; represent the organization to other organizations, the media, and the public at large; appoint committee chairpersons and charge committees; serve as ex-officio member of all committees; receive reports from all officers and committees and monitor their progress; communicate regularly with the executive director; report periodically to the board of directors; review communications, reports, and proposals of the staff; attendance at retreats and special meetings called by the board; attend meetings which are set up from time to time as appropriate; and have specific oversight responsibility for the personnel committee. The Vice President, in the absence or disability of the President, or upon their request, shall perform the roles and duties of the President, if the President is no longer able to continue. The Vice President’s responsibilities include: accede to the presidency in the event that a permanent vacancy in the presidency arises; serve as a voting member of the board of directors and executive committee; familiarize him or herself with the responsibilities of the President, the activities and positions of the organization, and the functioning of the executive office; assist the President as appropriate; represent the organization at the request of the President; serve on appointive committees; attend meetings at the President's request; regular attendance at requested meetings, such as the Board of Directors and Executive Committee; and have specific oversight responsibility for the training committee. The Secretary oversees the keeping of records of meetings, policies, activities, membership, and any other records required by law. The Secretary is the custodian of records for the organization and must keep a full and accurate record of all proceedings of the Association including a list of motions made and the voting results, and present orally and in writing the minutes for approval at each succeeding meeting of the Association. These meetings include: Board of Directors and Executive Committee meetings, Annual Membership Business meeting, and other special meetings called by the President or the Board. In addition, the Secretary's responsibilities include: review the policies of the organization and present to the board any policies which may need to be amended, rescinded, or reaffirmed; serve as a voting member of the board of directors and executive committee; assist the President as appropriate; represent the organization at the request of the President; serve on appropriate committees; keeper of the association seal; and have specific oversight responsibility for the membership committee. The Treasurer monitors the financial condition of the organization, is the custodian of all funds of the Association and keeps a complete and accurate record of all monies received and disbursed. The Treasurer makes a financial report to the membership at each regular Association meeting, and files the records for audit. The Treasurer meets with the Executive Director prior to each Board of Director and Executive Committee meeting, to discuss the financial situation of the Association, reviews the accounts, and prepares the financial statements. The Treasurer must complete a report and financial statement to be given to the Board at their regular meeting, and filed for audit. The Treasurer's responsibilities also include: oversight, with the executive director, of the fiscal affairs of the organization; present to the board of directors an annual budget for the organization, developed in concert with the executive director, at least three months prior to year end; monitor budgetary performance of the organization, recommending modifications as needed; review for approval all actions and policies with major financial implications; serve as a voting member of the board of directors and the executive committee; assist the President as appropriate; and have specific oversight responsibility for the finance committee. The past president shall be the direct advisor to the president of the previous year’s administration. Responsibilities include attendance at all Board of Director and Executive Committee meetings, promote OCPA membership, represent the OCPA president upon his request, coordinate the OCPA awards program, serve as the chair of a focus group, assist their respective district representative in the completion of their duties, attend district meetings, and assist in other ways to support the growth of OCPA. A Council of Presidents consists of all Past Presidents of the Association. Membership to the Council of Presidents commences with the immediate Presidents' replacement on the Board of Directors with the incoming President. The Council of Presidents shall be an advisory body that will meet at the request of the President or at its own initiative. The Council of President’s Liaison shall be the direct advisor to the president on OCPA historical affairs. The Council of President’s Liaison shall serve as the unofficial parliamentarian of the Board of Directors and the Executive Committee. 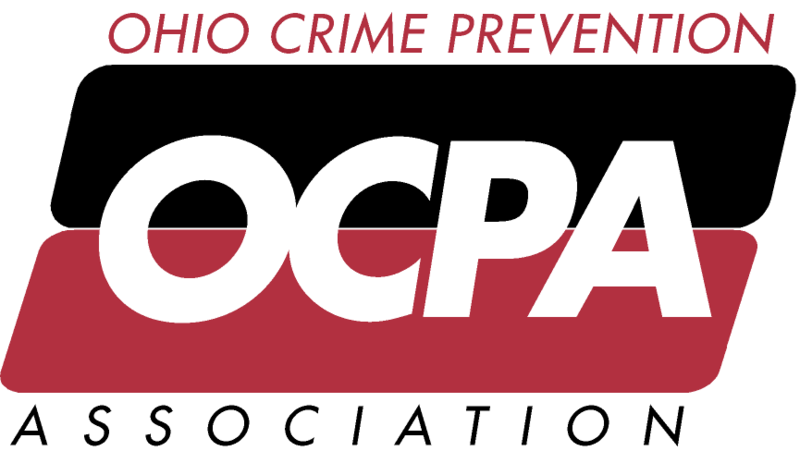 They also shall be charged with maintaining all the important historical documents of the OCPA. District Representatives are elected by their constituency from one of OCPA's six districts. They are responsible for holding bimonthly meetings in their district, or the equivalent as the membership or Board dictates. These meetings are to be used as a forum for the representative to listen to the district's concerns about the Association and crime prevention. Other responsibilities include: being a member of and attendance at all Board meetings and ad-hoc committee meetings; fostering the relationship between the respective district and OCPA; encourage the membership growth of the district; monitor and facilitate membership retention and recruitment in the district; and establish training programs and guest speakers to meet the district's needs.